Keep your cash and essential documents at your fingertips with this stainless steel money clip! 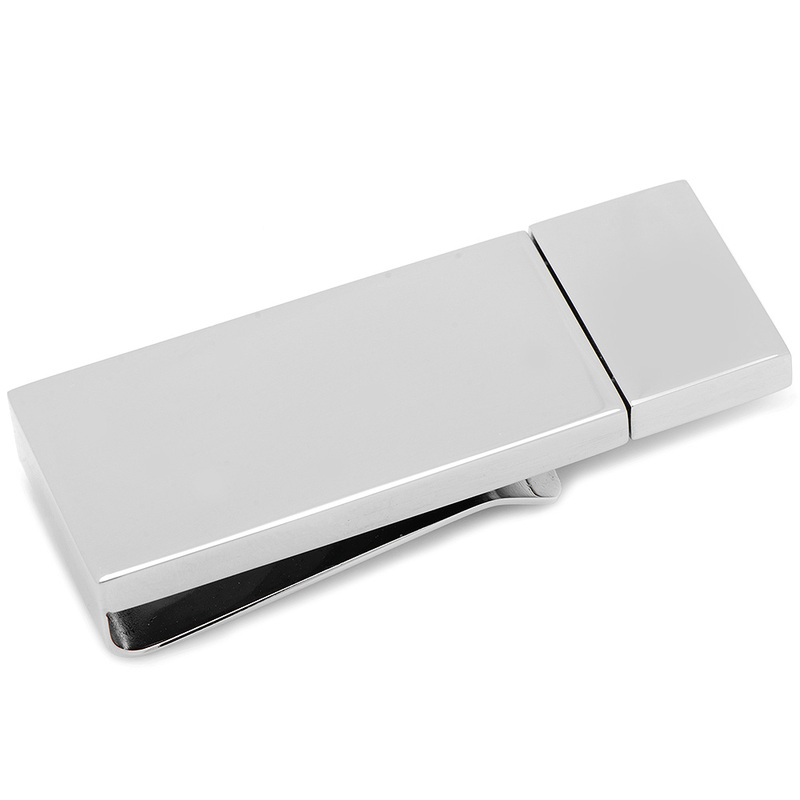 The clip is made in one piece, is solid polished stainless steel, and has a French-fold money clip that secures up to 20 folded bills. 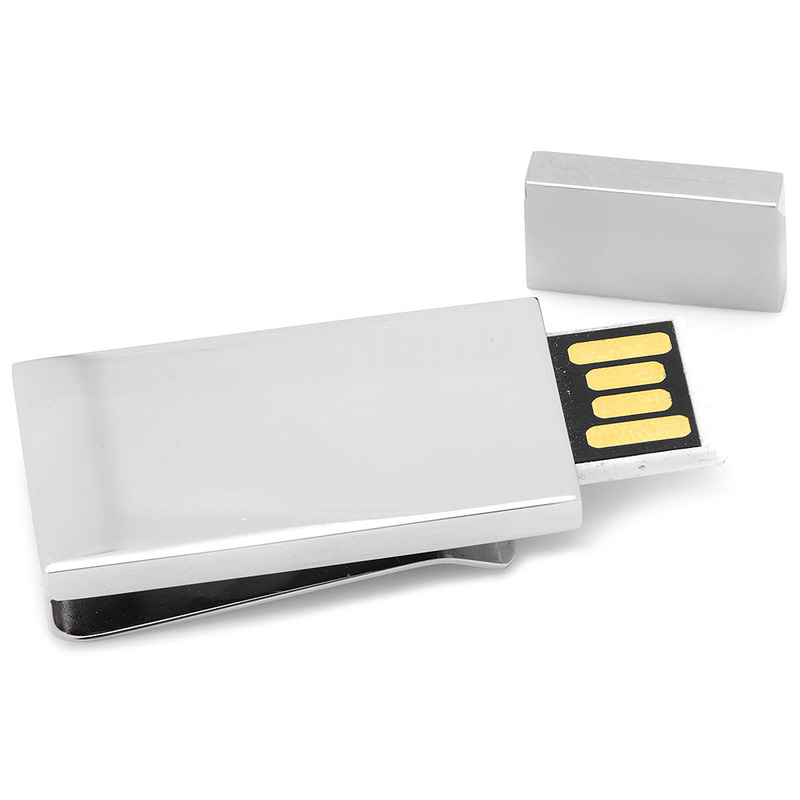 At the end is a USB flash drive with 8GB of memory available, so you can store documents, receipts, photos, and whatever you need close at hand for daily use and travel! 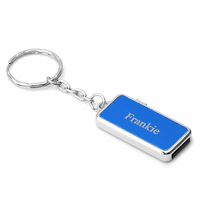 Add a personal touch with free custom engraving!. 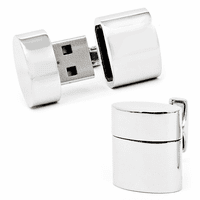 Engraving does not slow order processing time, your order will still ship the next business day. Free first class mail shipping within the USA for orders over $25. First class mail shipping is $2.50 for orders under $25. We also offer Priority Mail, UPS Ground, UPS 3 Day Select, UPS 2nd Day Air and UPS Next Day Air shipping. Use the shipping calculator to calculate your delivery times and shipping rates for these methods. 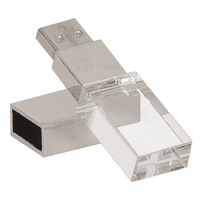 We ship internationally using USPS International Air Mail and UPS Standard to Canada. Use the shipping calculator to calculate your delivery times and shipping rates for these methods. We guarantee that you or the person you're buying a gift for will be completely, unconditionally thrilled with your purchase. If not, we'll replace it free of charge, even if its personalized.